Berlin’s welcome to me was a little similar to my welcome in Amsterdam which required me to fear for my life. Except this time, on a much lesser scale. We arrived after an 8 hour bus ride to go on our city tour. 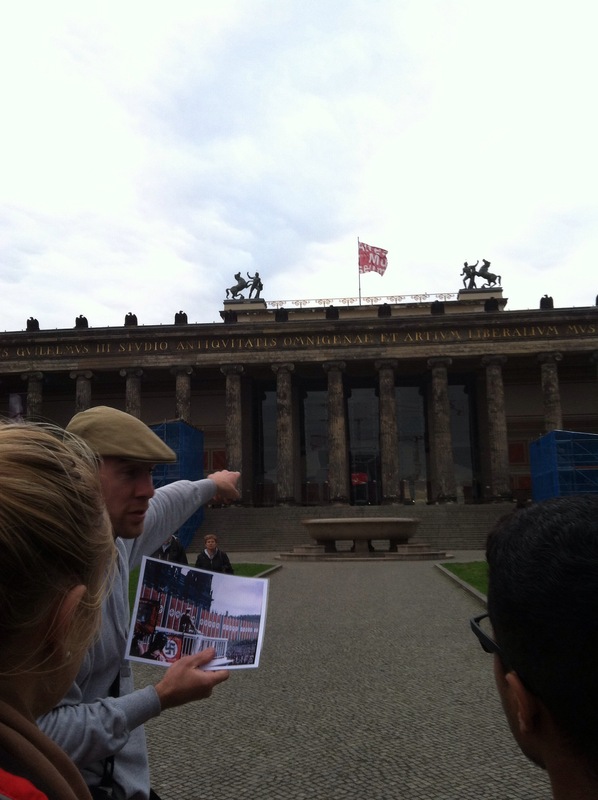 The tour began by me getting yelled at in German by an angry lady on a bike. Nothing says welcome to a new city by an insult I don’t know and construction sites everywhere. Hmmm, add in the traffic, and it feels just like home!! With that nice of a start, the tour only could get better. The city itself is such a clash of trying to establish a unified identity, there’s a strong mixture of new and old ideologies everywhere you look. 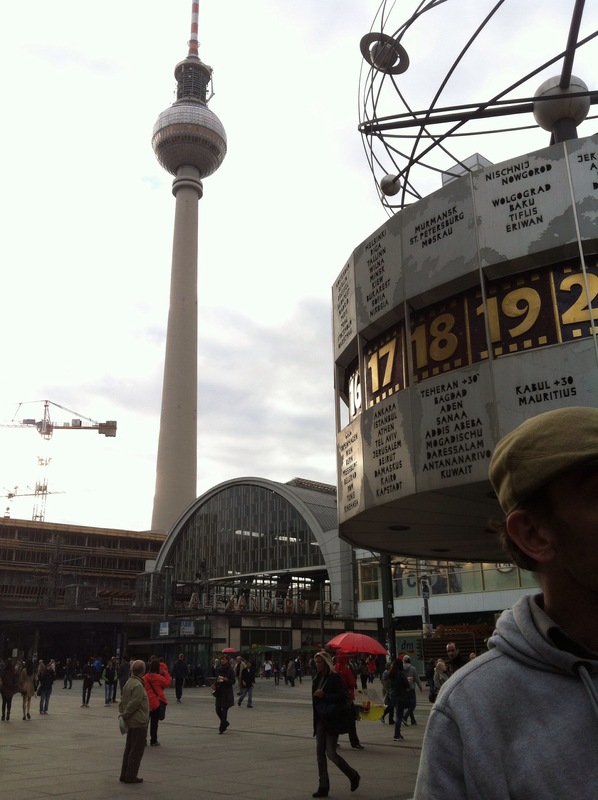 We saw the remnants of the division of east and West Berlin and the reminders of communist times. We even stood in the same square that adolf hitler spoke at several rallies. It was insane to believe I was actually at the place of such pivotal points in history. In order for the universe to balance out some of the horror, the square of the rallies is also the place where THE FIRST POTATO was planted. Talk about a juxtaposition. We also walked through where the book burning took place and were able to see a haunting memorial of empty bookshelves that the 50,000 burned books could fill. It was an amazing remembrance. There’s so much more this city has to offer and I can’t wait to experience it. This entry was posted in Uncategorized and tagged amazing, Angry biker, Berlin, city tour, German, germany, history, welcome by jetsetterstyle. Bookmark the permalink. 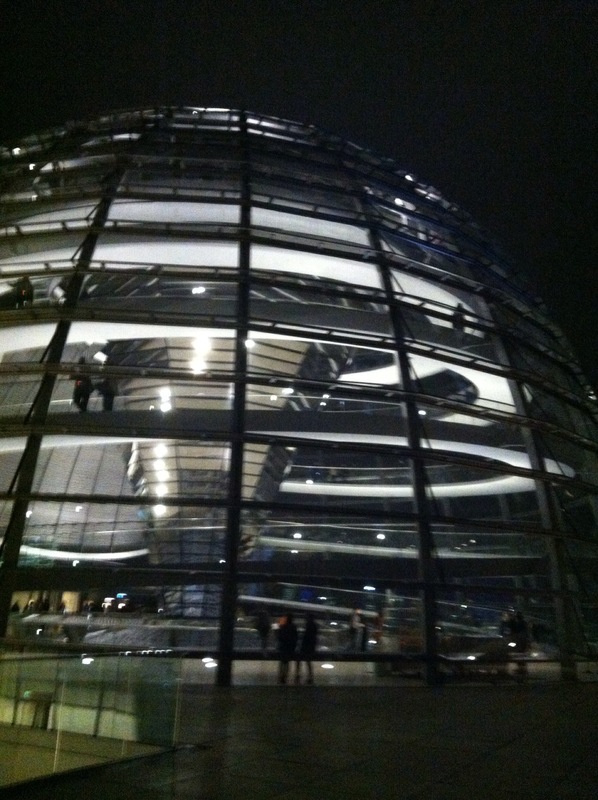 I hope to tour Berlin one day. I’m drawn to the WW2 era and it would be such an amazing experience to learn more about the war while in the location in which a lot of it took place. Definitely visit it if you have the opportunity!!! It’s a welcoming place to all different kinds of people!